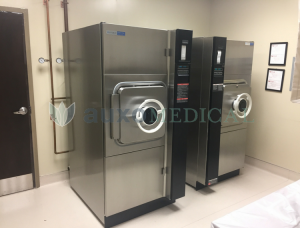 We recently completed a Sterilizer install at Harborside Surgery Center in Oxon Hill, MD (National Harbor). 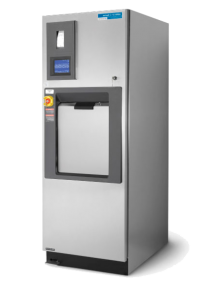 Steris Century V116 Steam Sterilizers are designed for fast, efficient sterilization of heat and water-resistant materials with the same capabilities as a gravity sterilizer. The V116 pre-vacuum sterilizer is equipped with pre-vac, gravity, flash, express, leak test, and daily air removal test cycles. Front view of sterilizer installation at the Animal Medical Center. 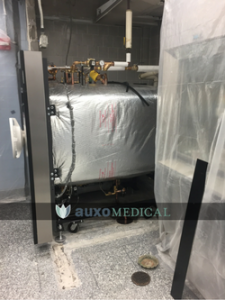 Side view of the sterilizer installation at the Animal Medical Center. 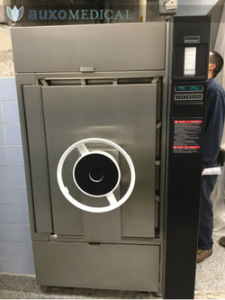 Over the weekend our team traveled to New York City to remove and reinstall a Steris Stage 3 3043 Sterilizer. The Animal Medical Center plans on using these sterilizers to sterilize the instruments used daily by their veterinary and emergency animal medical services personnel. 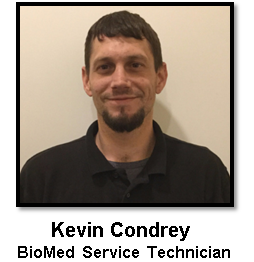 Happy Anniversary, Kevin Condrey … and congratulations on your first full year with Auxo Medical as a BioMed Service Technician! Initially, Kevin’s introduction and service to Auxo was as a contractor prior to joining the Auxo team full-time. A day in the life of Kevin at Auxo Medical includes testing biomedical equipment to isolate problems and initiate appropriate solutions. That ensures Auxo customers will enjoy quality refurbished equipment as a comparable alternative to new equipment … and at a fraction of the cost. Used vs. Refurbished Equipment: What’s the Difference? Used vs Refurbished equipment: What’s the Difference? Used, by definition, is pre-owned and subjected to prior use. A synonym is “worn” which means anything from slightly employed to significantly deteriorated. Typically, used medical equipment is sold as-is with no recourse to the seller as to usability or functional life. That means if the equipment malfunctions or fails, you are responsible for the cost of repair or replacement. 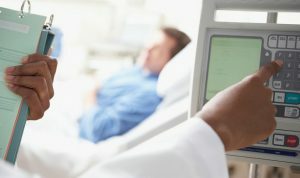 Additionally, training healthcare professionals on the use of the equipment is the new owner’s responsibility. So your experience may mirror the good or not so good outcome of buying a vehicle from Honest Charlie’s Used Car Emporium. Caveat emptor is the cautionary note.